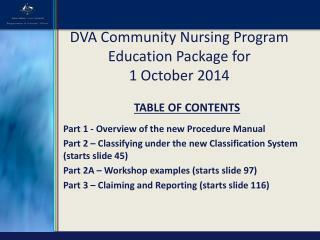 Provide updates since last Session(s) and solicit participant feedback. 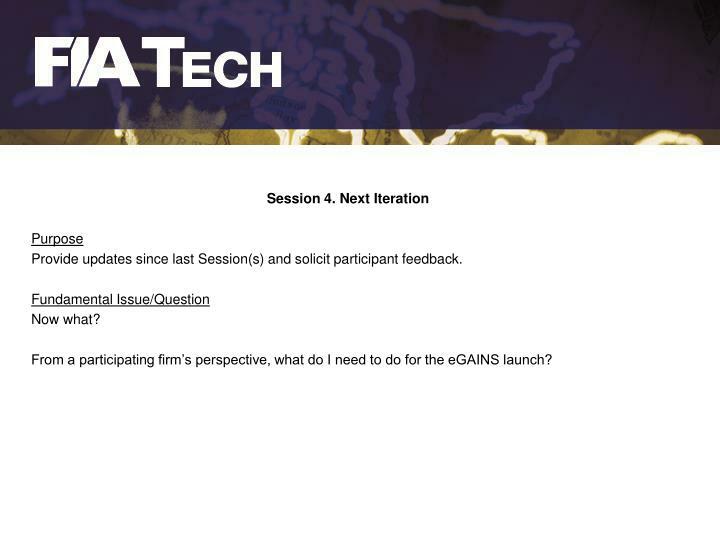 From a participating firm’s perspective, what do I need to do for the eGAINS launch? 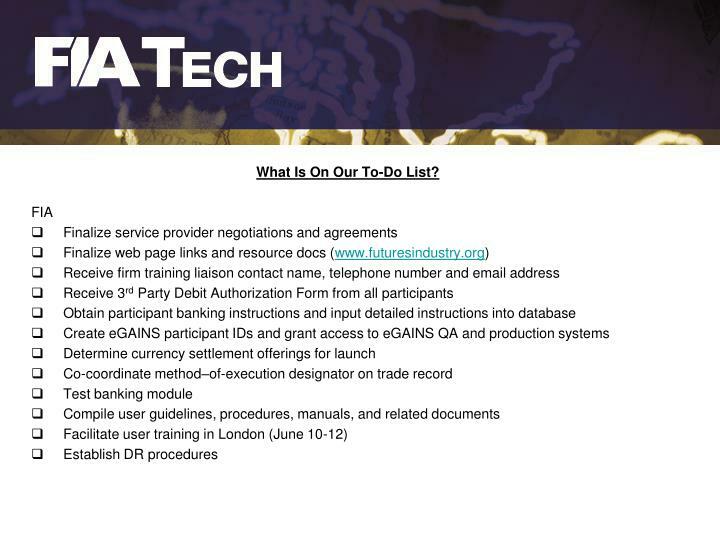 What Is On Our To-Do List? 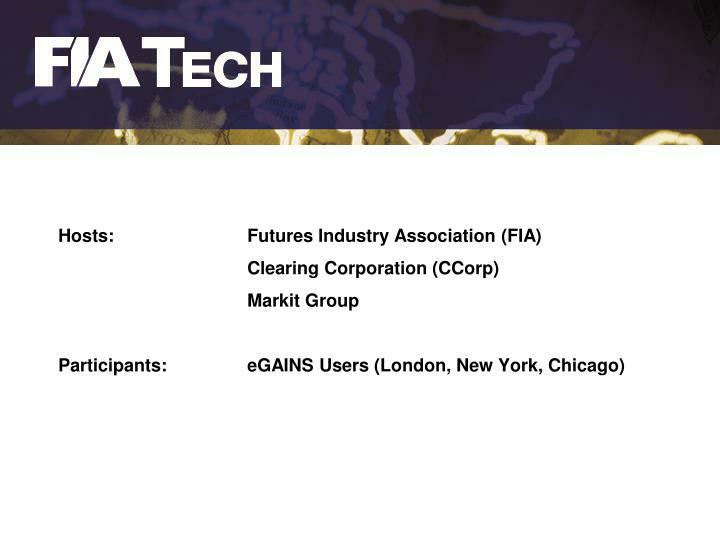 EGUS allows participants to list the Executing Broker, Clearing Broker, Customer, and Trader in the give-up agreement. 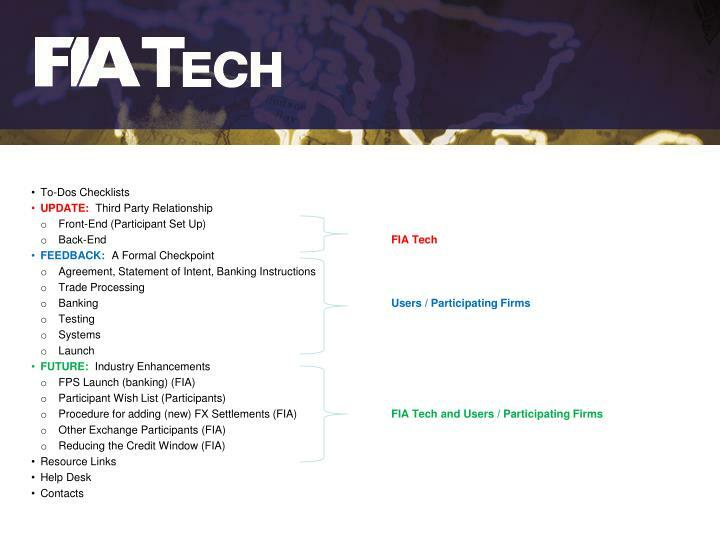 Additionally, participants provide FIA Tech with detailed banking instructions for automated month-end pay and collect processing. 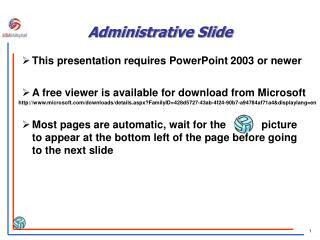 Executing Broker – the party executing customer orders on a futures exchange. Clearing Broker – the party maintaining accounts to which the executing broker gives-up trades. 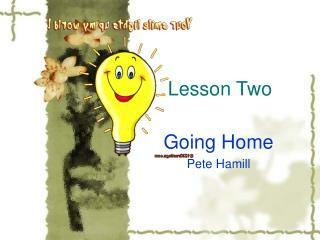 Customer – the party to whose account the given-up trades belong and shall reside. 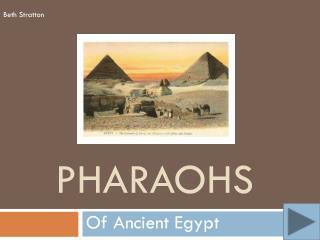 Trader – the party authorized to place orders with the executing broker on behalf of the customer. 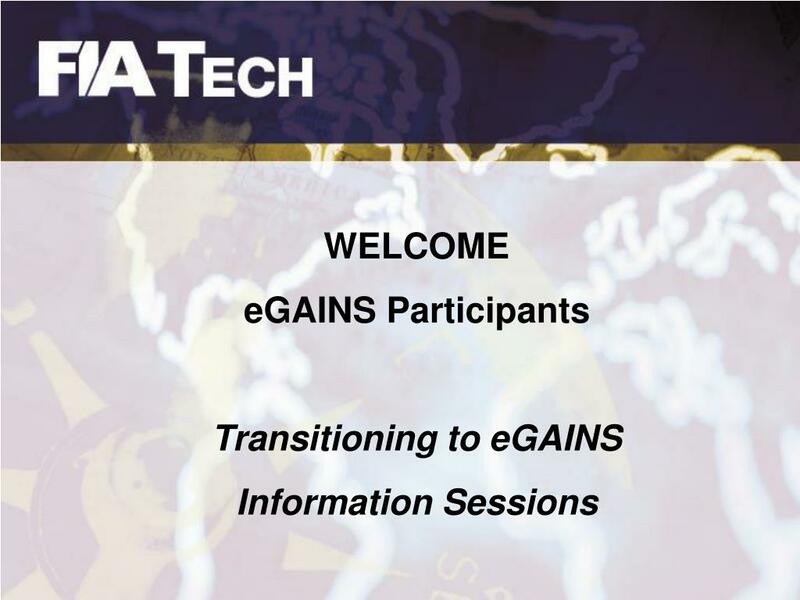 Working through their Clearing or Execution Firm, the third-party or customer (in order to facilitate payment to the executing firm through eGAINS), must become an eGAINS participant by completing the eGAINS Processing Agreement and submitting their banking instructions to FIA Tech. 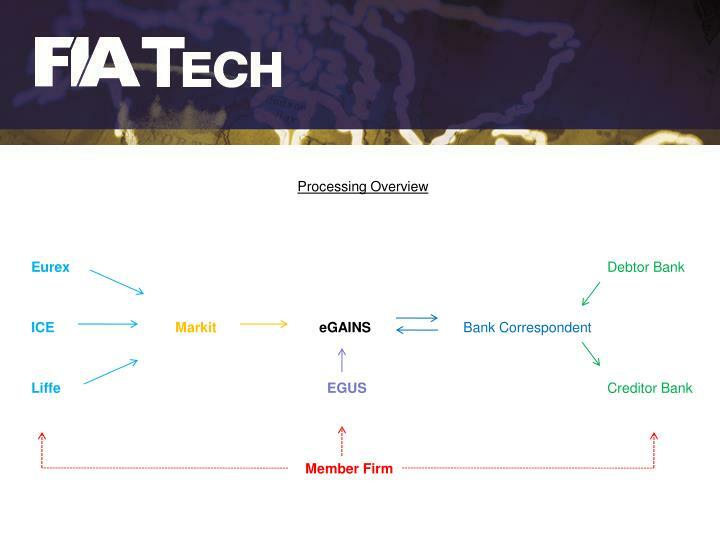 Within the EGUS / eGAINS third-party relationship, the executing broker has the ability to bill the customer and receive the execution fees through the system as opposed to invoicing the customer for payment outside of the eGAINS system. 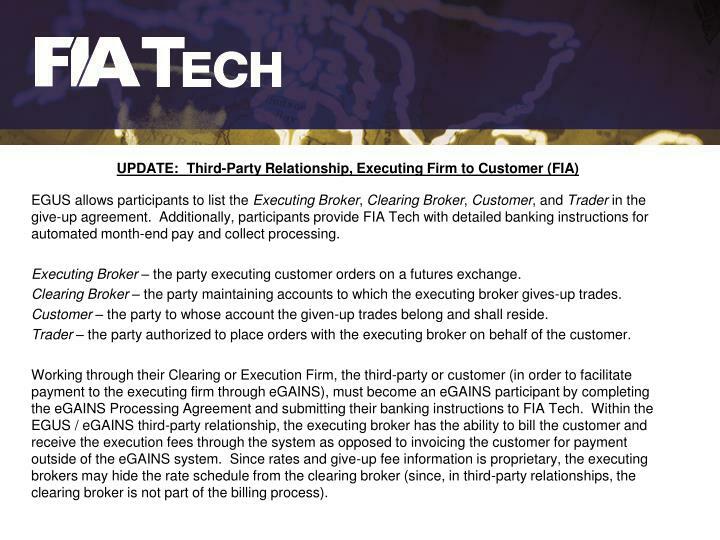 Since rates and give-up fee information is proprietary, the executing brokers may hide the rate schedule from the clearing broker (since, in third-party relationships, the clearing broker is not part of the billing process). 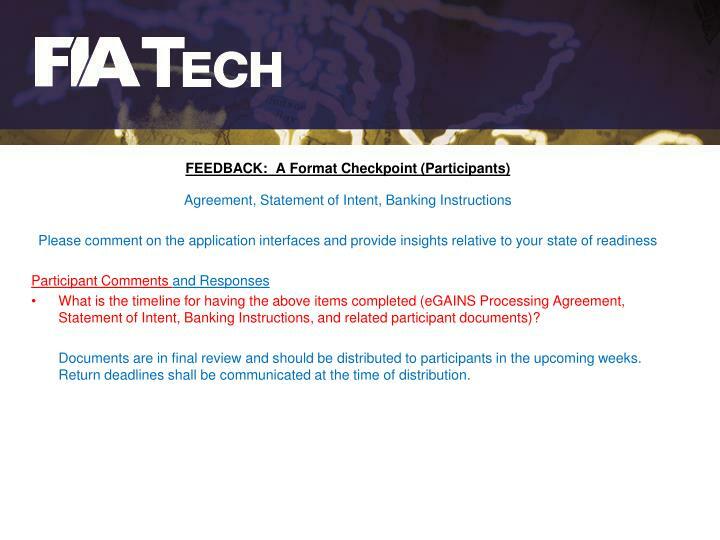 What is the timeline for having the above items completed (eGAINS Processing Agreement, Statement of Intent, Banking Instructions, and related participant documents)? 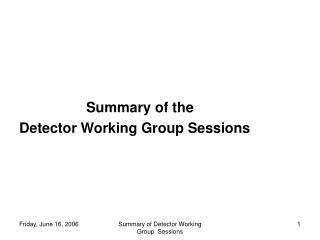 Documents are in final review and should be distributed to participants in the upcoming weeks. Return deadlines shall be communicated at the time of distribution. 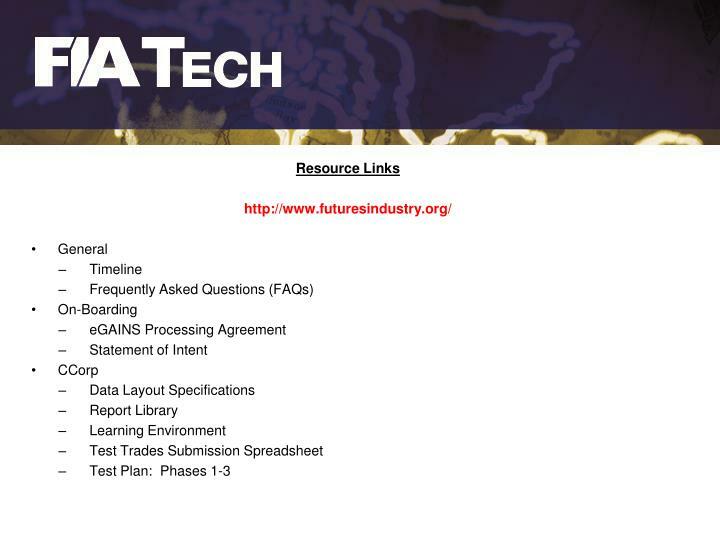 Identification of trade types and method of execution will have a big impact on firms. To the extent that firms charge different rates for a client-execute relative to a trading desk-execute, we’ve asked the exchanges to provide a dedicated method of execution trade record field. 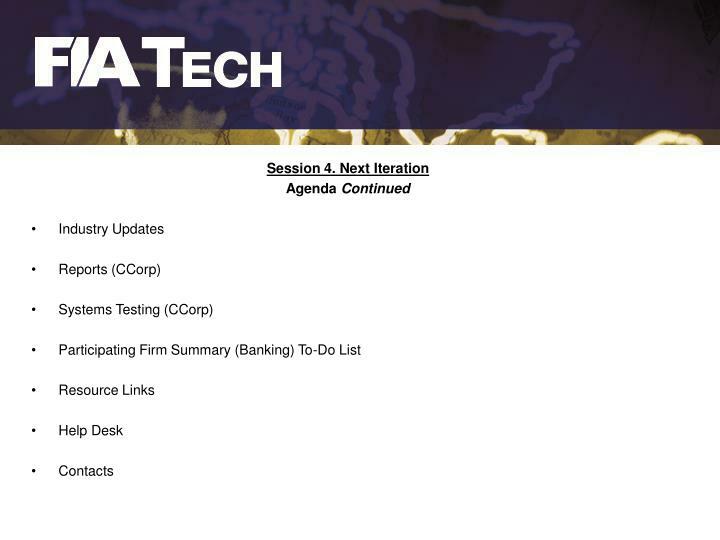 Firms have participated in the conference call with the exchanges and their technology teams and discussions are ongoing. 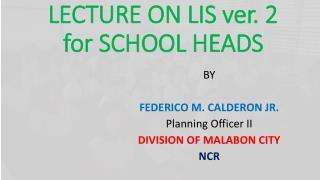 Method of execution involves front end work for firms also. 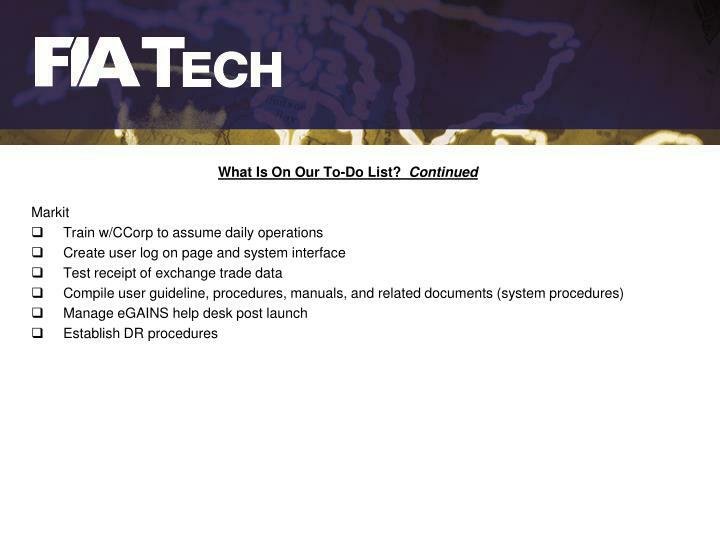 In the event of record layout changes, we will promptly communicate with the firms in order to provide as much time a possible to manage the system change. 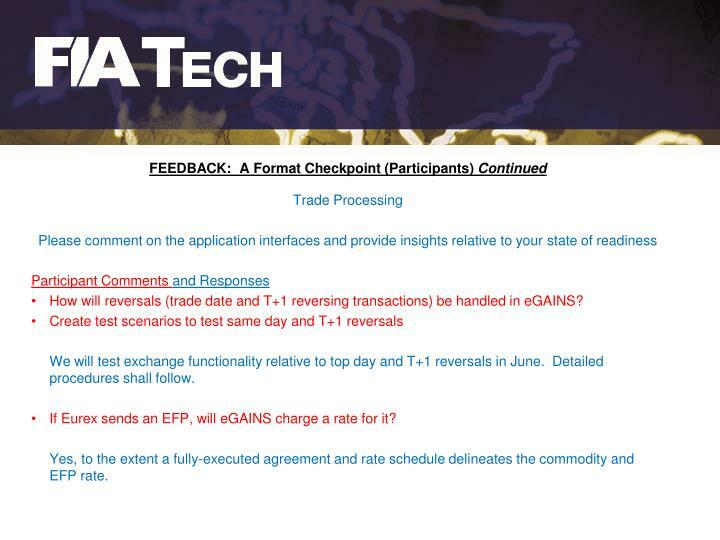 How will reversals (trade date and T+1 reversing transactions) be handled in eGAINS? We will test exchange functionality relative to top day and T+1 reversals in June. 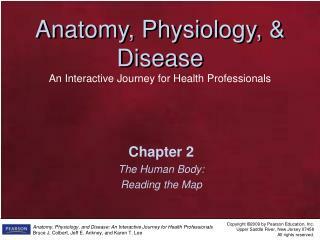 Detailed procedures shall follow. If Eurex sends an EFP, will eGAINS charge a rate for it? 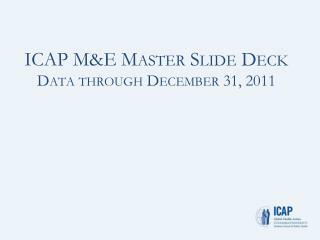 Yes, to the extent a fully-executed agreement and rate schedule delineates the commodity and EFP rate. 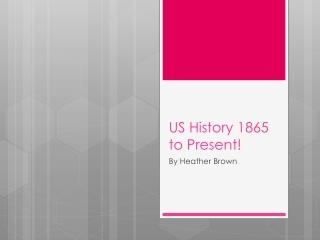 What happens if an exchange sends a trade for which there is no agreement? 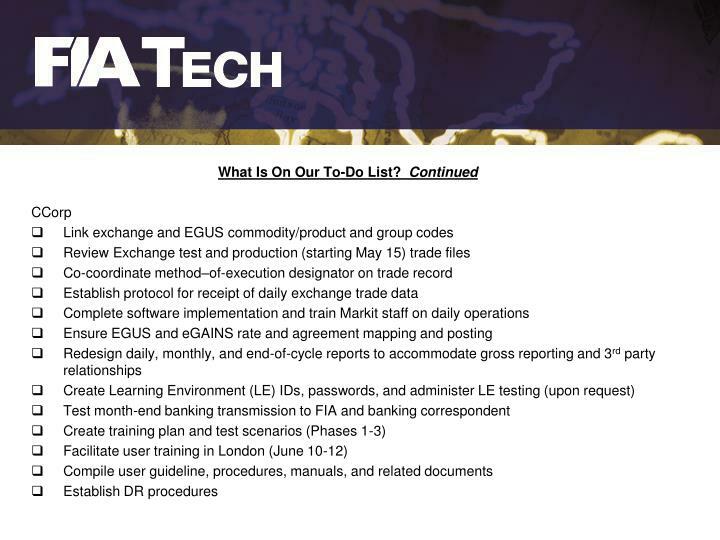 In the event of no agreement for the underlying trade, the trade will appear on a daily and monthly trade report as unlinked. 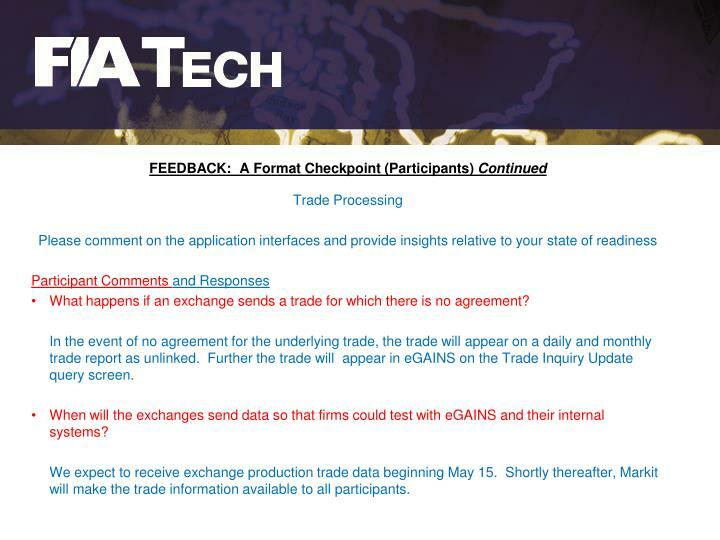 Further the trade will appear in eGAINS on the Trade Inquiry Update query screen. 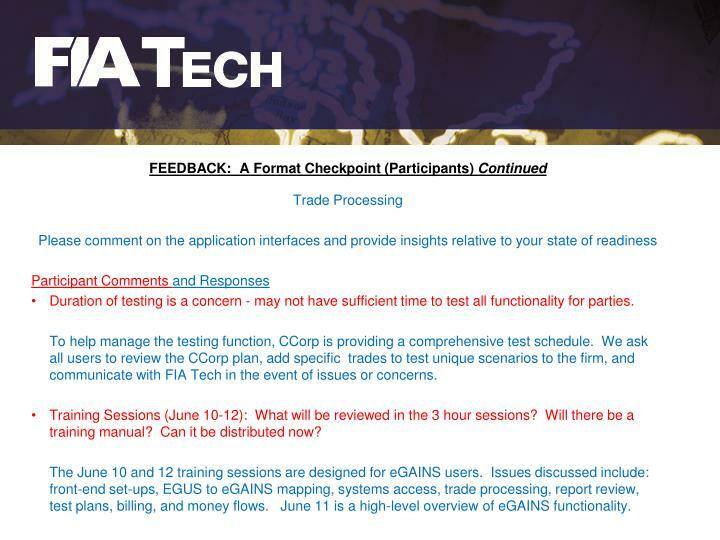 When will the exchanges send data so that firms could test with eGAINS and their internal systems? 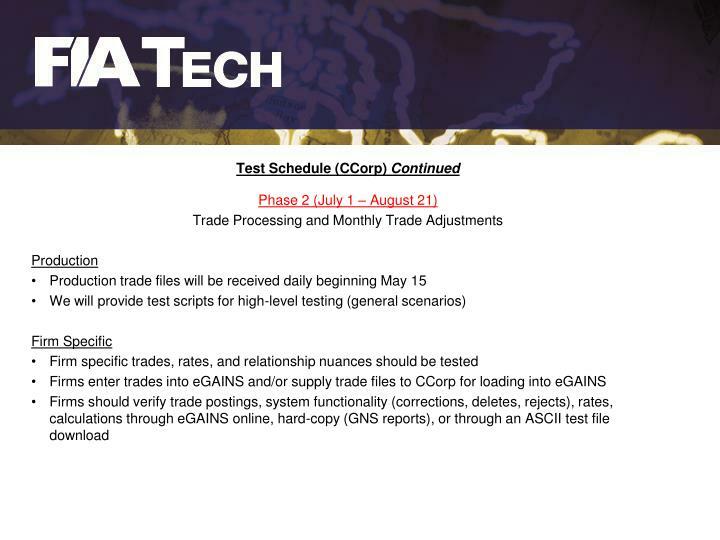 We expect to receive exchange production trade data beginning May 15. 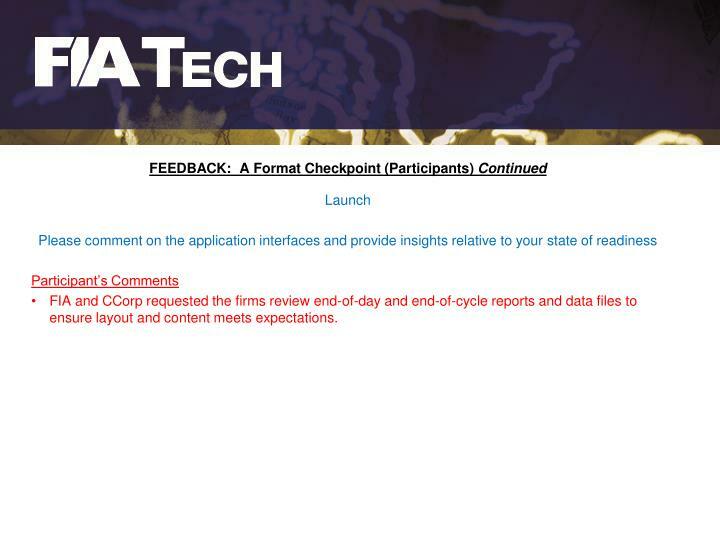 Shortly thereafter, Markit will make the trade information available to all participants. 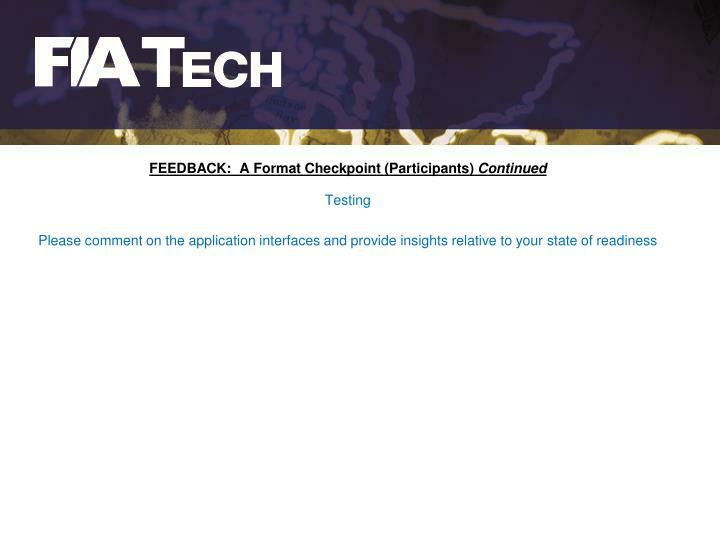 Duration of testing is a concern - may not have sufficient time to test all functionality for parties. 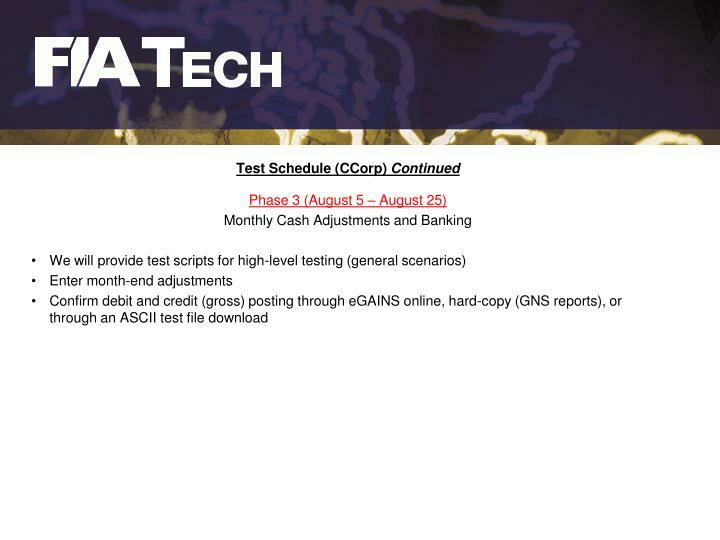 To help manage the testing function, CCorp is providing a comprehensive test schedule. 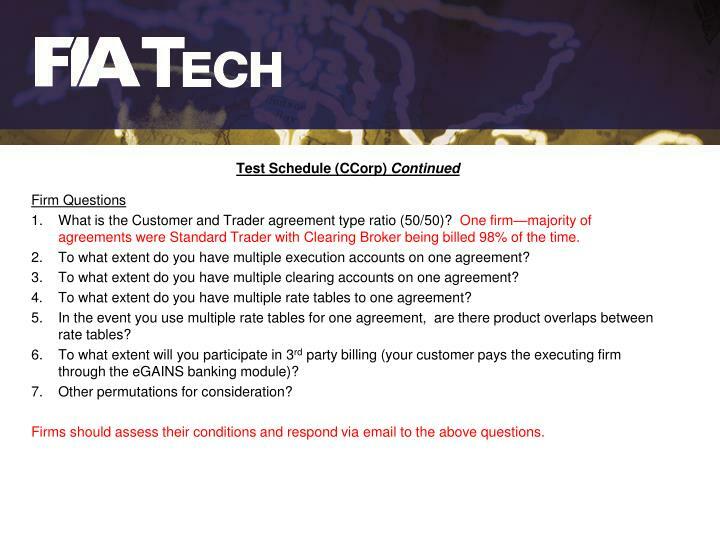 We ask all users to review the CCorp plan, add specific trades to test unique scenarios to the firm, and communicate with FIA Tech in the event of issues or concerns. 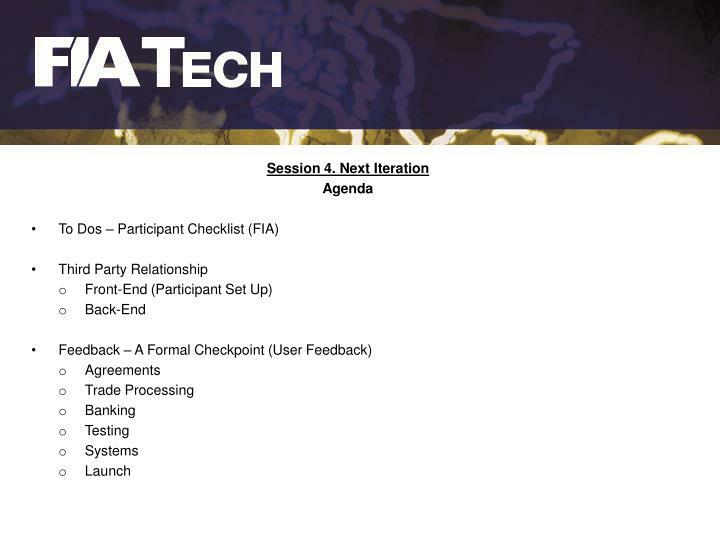 Training Sessions (June 10-12): What will be reviewed in the 3 hour sessions? 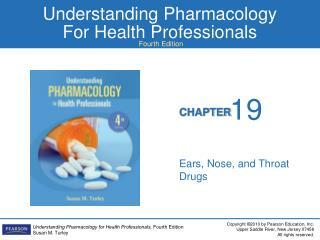 Will there be a training manual? 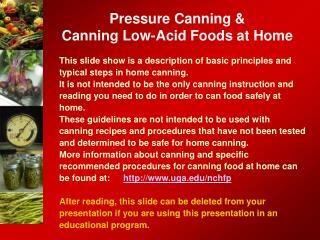 Can it be distributed now? 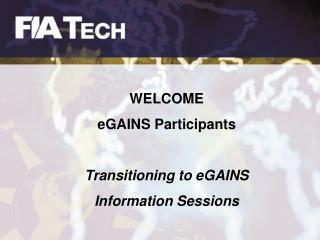 The June 10 and 12 training sessions are designed for eGAINS users. 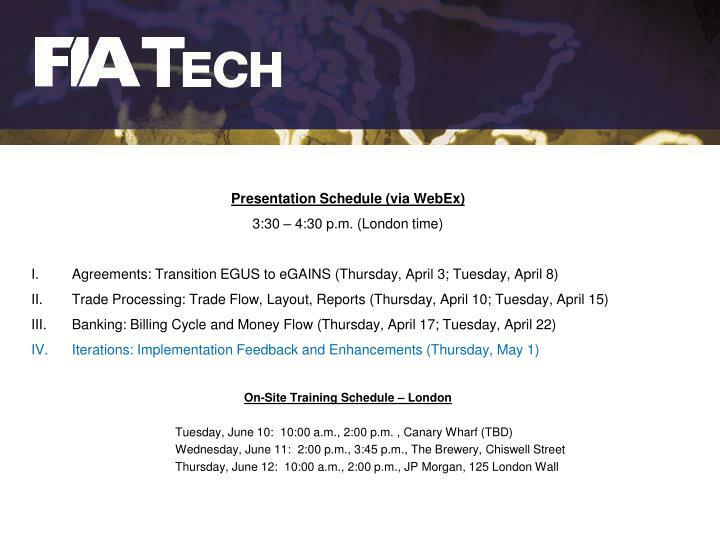 Issues discussed include: front-end set-ups, EGUS to eGAINS mapping, systems access, trade processing, report review, test plans, billing, and money flows. June 11 is a high-level overview of eGAINS functionality. 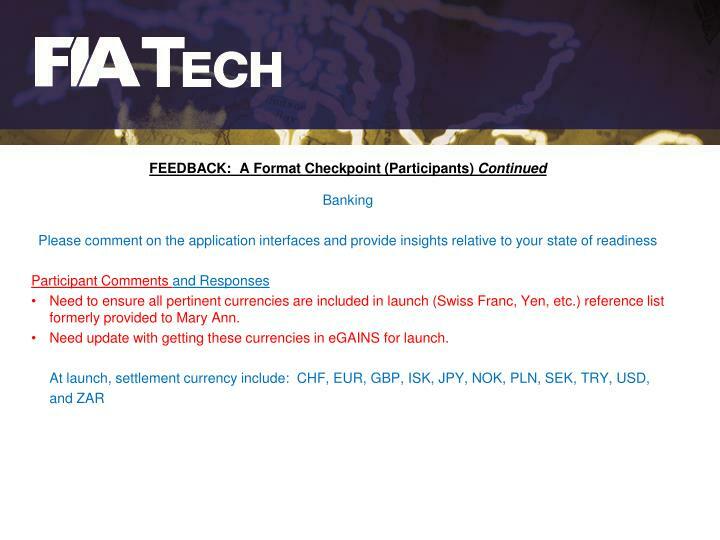 Need to ensure all pertinent currencies are included in launch (Swiss Franc, Yen, etc.) reference list formerly provided to Mary Ann. Need update with getting these currencies in eGAINS for launch. 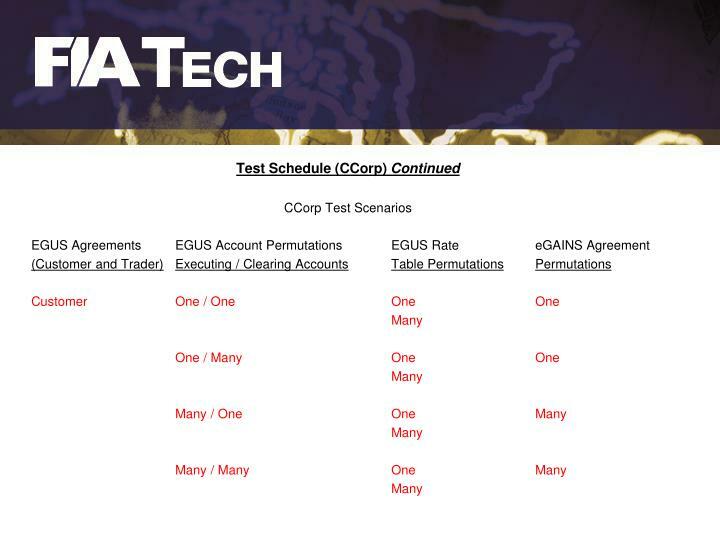 Due to the complexities of the EGUS to eGAINS integration, firm testing will proceed in three phases (rates, trade processing, monies). 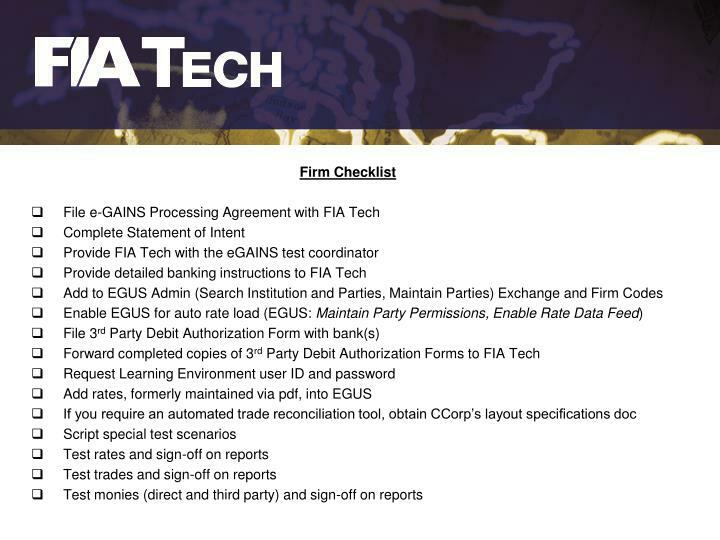 Once the firm’s EGUS Systems Administrator enables the EGUS to eGAINS rate feed (EGUS: Maintain Party Permissions, Enable Rate Data Feed), electronically stored rates in EGUS will post to eGAINS without firm intervention. 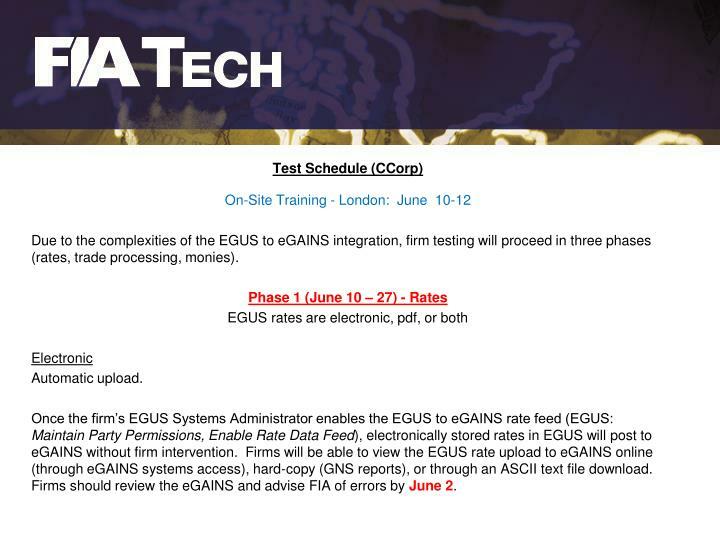 Firms will be able to view the EGUS rate upload to eGAINS online (through eGAINS systems access), hard-copy (GNS reports), or through an ASCII text file download. 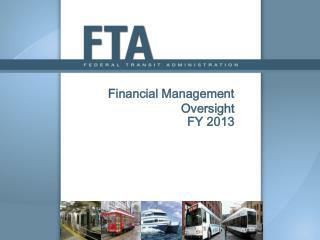 Firms should review the eGAINS and advise FIA of errors by June 2. 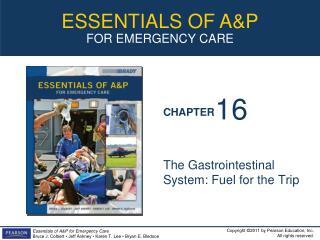 Manual input (deadline June 27). 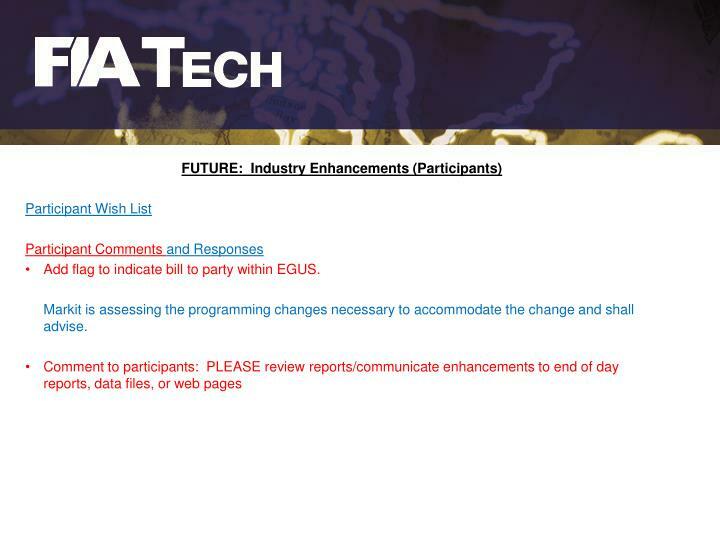 NOTE: The aforementioned has no impact on the EGUS agreement nor will it require counterparty review or acknowledgement. What is the Customer and Trader agreement type ratio (50/50)? 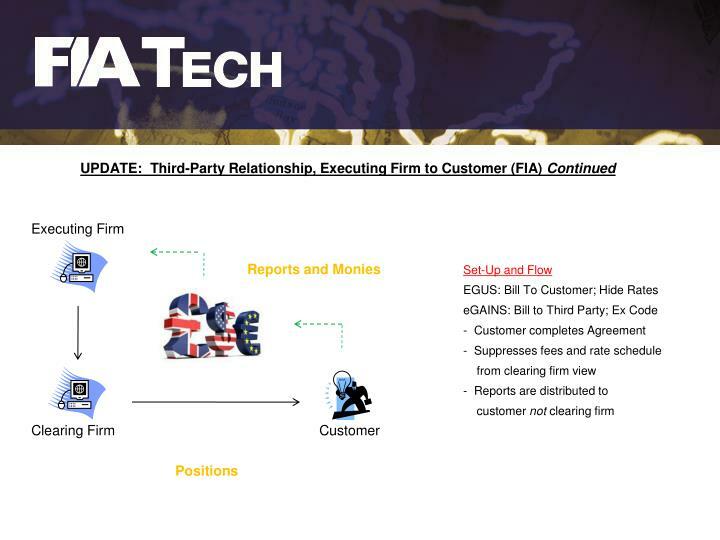 One firm—majority of agreements were Standard Trader with Clearing Broker being billed 98% of the time. 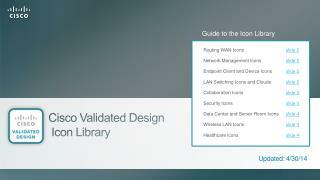 To what extent do you have multiple execution accounts on one agreement? To what extent do you have multiple clearing accounts on one agreement? 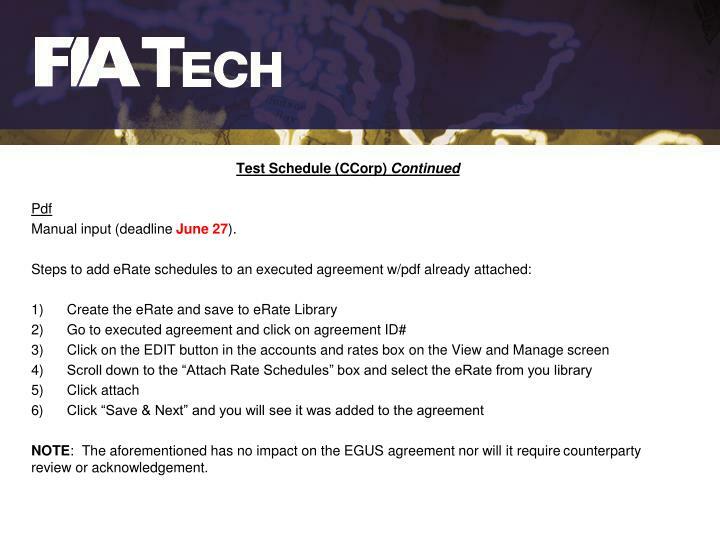 To what extent do you have multiple rate tables to one agreement? In the event you use multiple rate tables for one agreement, are there product overlaps between rate tables? 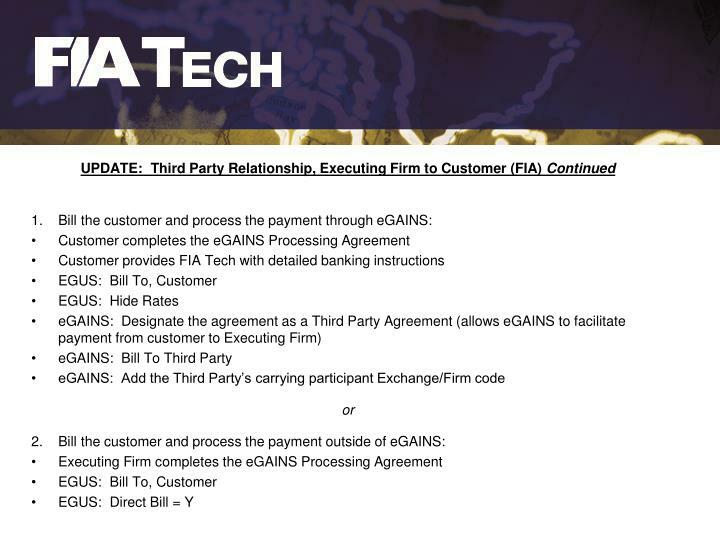 To what extent will you participate in 3rd party billing (your customer pays the executing firm through the eGAINS banking module)? 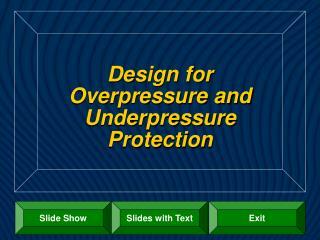 Firms should assess their conditions and respond via email to the above questions. FIA and CCorp requested the firms review end-of-day and end-of-cycle reports and data files to ensure layout and content meets expectations. Add flag to indicate bill to party within EGUS. 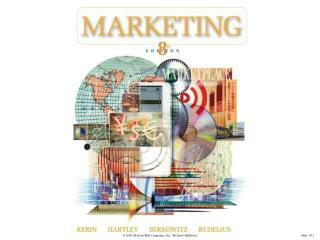 Markit is assessing the programming changes necessary to accommodate the change and shall advise. 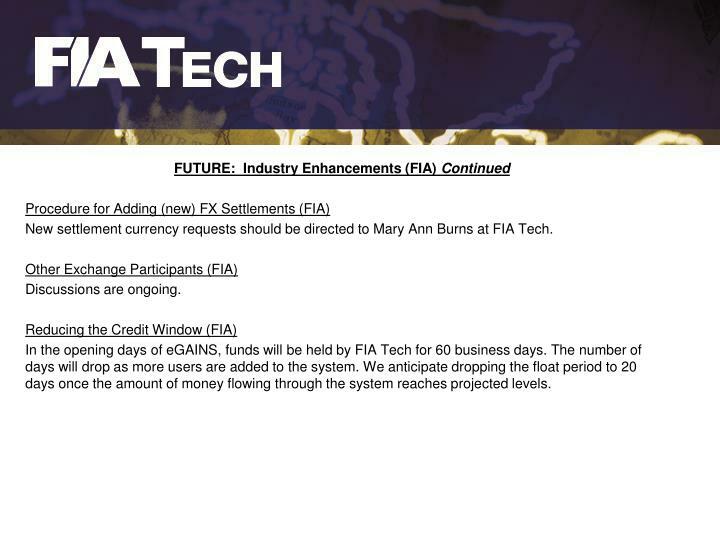 New settlement currency requests should be directed to Mary Ann Burns at FIA Tech. 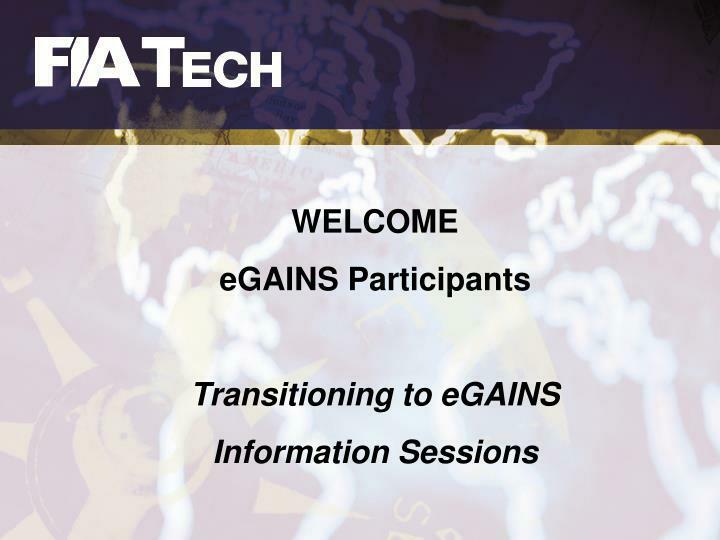 In the opening days of eGAINS, funds will be held by FIA Tech for 60 business days. 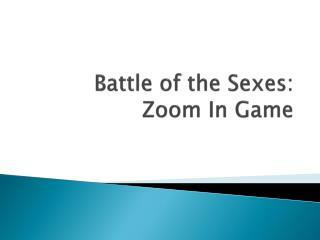 The number of days will drop as more users are added to the system. We anticipate dropping the float period to 20 days once the amount of money flowing through the system reaches projected levels. 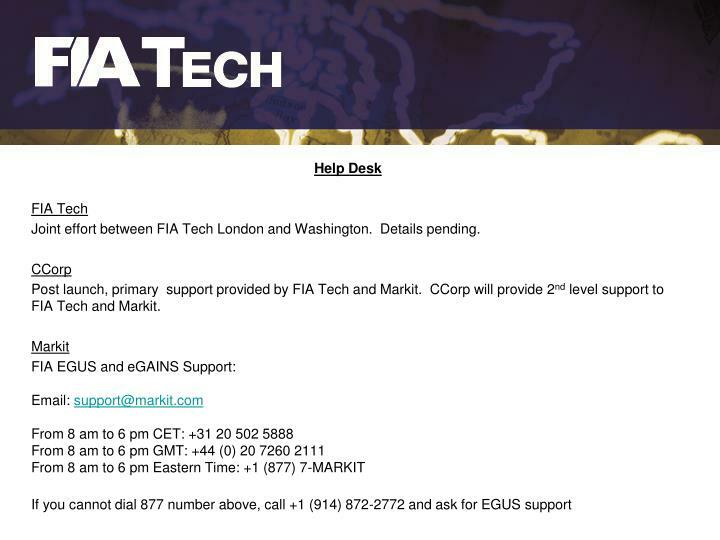 Joint effort between FIA Tech London and Washington. Details pending. 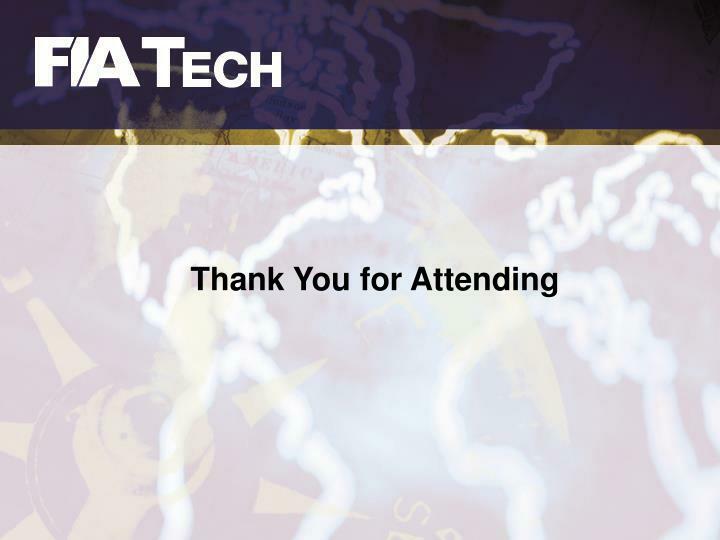 Post launch, primary support provided by FIA Tech and Markit. 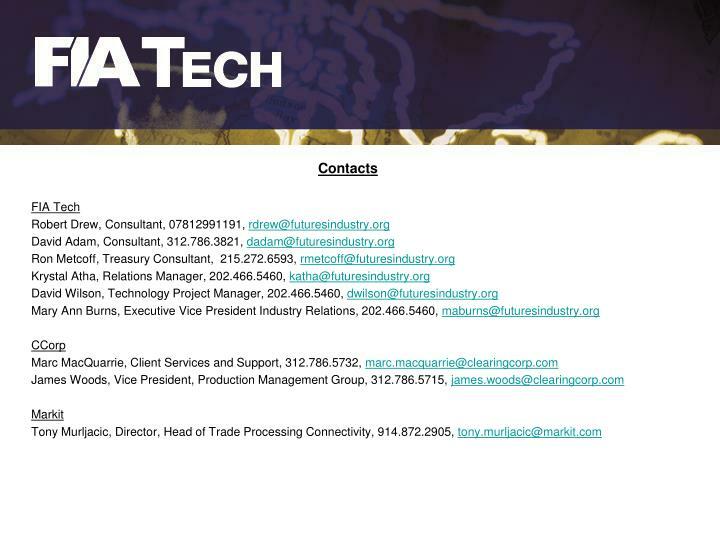 CCorp will provide 2nd level support to FIA Tech and Markit.